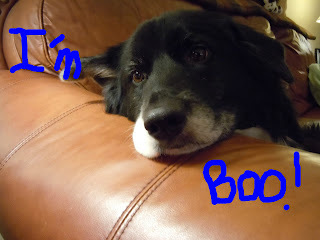 This is m owner's relatives dog, Boo! He was a nice dog and I got along good with him! I got a bit jeaulous at first but I got over it!